Our FREE App is amazingly simple to use. Sit back, and get estimates in 3 Easy Steps! Taking photos of your project space, makes it a 'snap' to describe. Makes describing your project even easier, and means less explaining for you. Answer a few and simple questions to describe your project in more detail. 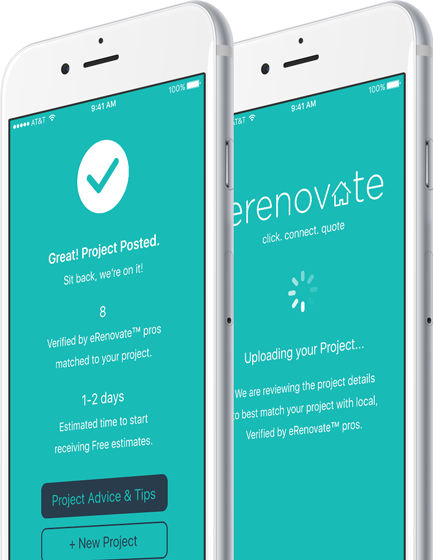 eRenovate matches your project with Verified pros who you can hire with confidence. Verified pros can also introduce themselves with a video. This gives you a personal touch. View their ballpark estimates, past projects, website, and even Ask a Question if you wish. 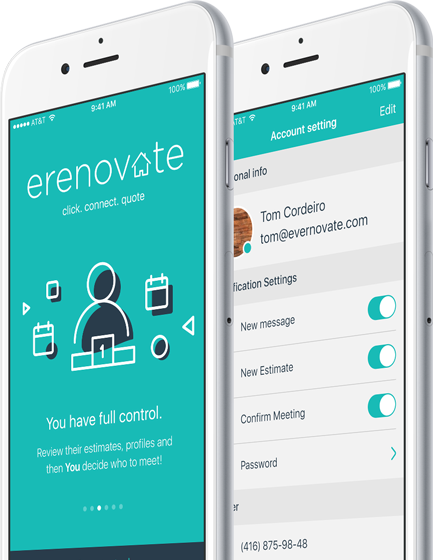 Choose your favourites, then easily set up meetings via eRenovate. Bye-bye phone tag! Meet in person, get no-obligation quotes from your short list of Pros! eRenovate organizes your estimates, meetings and chats – saving time and stress. Truth is, no other website cared to ask about my business credentials. I was then convinced that eRenovate really is different. SAVE YOURSELF TIME AND STRESS! 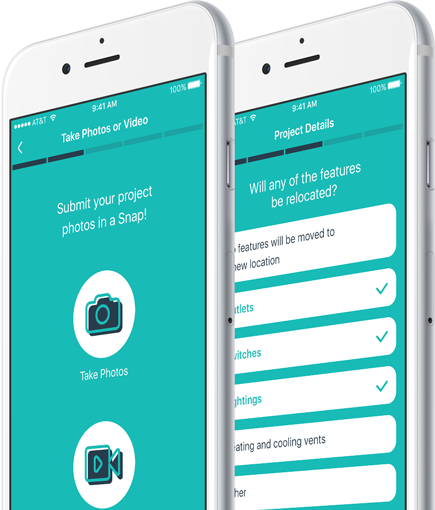 POSTING A PROJECT IS SIMPLE, FREE! 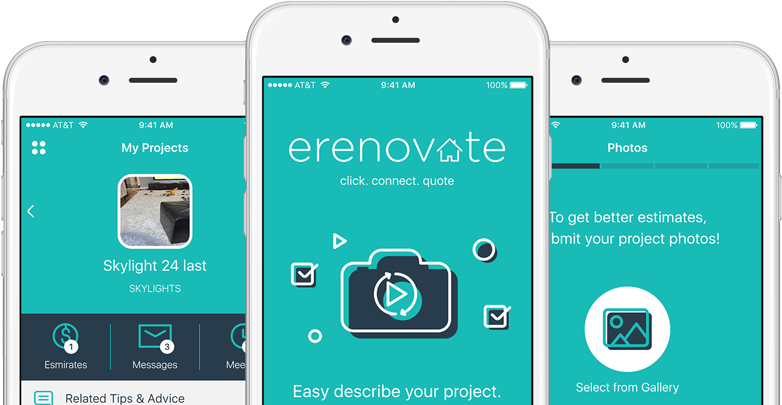 The ONLY app to connect you with Verified by eRenovate™ pros. Hire reliable contractors in a whole new way. GET FREE ESTIMATES And meet Verified by eRenovate™ pros, who also offer free in-home consultations. YOU’RE IN CONTROL Super easy to book meetings that fit into YOUR busy schedule. SEARCH NO MORE Avoid tedious and risky blind searches. Let eRenovate match you with the BEST pros in your area. SIMPLE TO USE We've refined the process for anyone, anywhere to easily post a project. OUR SUPPORT TEAM Chat with our member services team, anywhere, anytime.